Did you come across a job advertisement for an Esthetician? If you want to land the job, your resume may need a makeover! Our Esthetician resume sample has the features that will distinguish you from others. The Skin Care and Spa business are one of the fastest growing segments of the health and wellness industry. It is acknowledged as a recession-proof business because when times are hard and stressful people find ways to relax; they want to feel better and forget all about their worries. For sure, there are many opportunities available for Estheticians in the job market. To establish a rewarding and enriching career as an Esthetician by providing first-rate care to patients in skin care, massage, aromatherapy and sharing my expertise as a Makeup Artist. 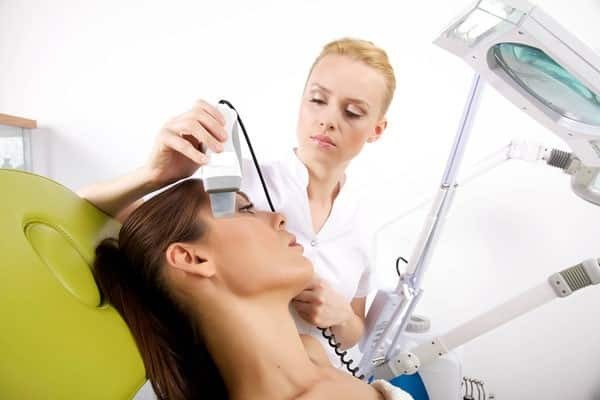 Skincare clinics and spas are regularly looking for highly qualified Estheticians. They want candidates with the requisite qualifications to provide expert skin care and other services to their clients and patients. Skincare offers a wide variety of services from facials to body wraps to an assortment of therapies. The field of Aesthetics is constantly evolving to include new treatments and methods. Thus, in your Esthetician resume objective, you have to highlight your specializations. Identify the types of skin care treatments and methods you are most familiar with. These will differentiate you from others who only provide basic skin care services. Skincare clinics and spas not only sell services. They primarily sell the experience of wellness. When people sign up for spa and skin care treatments, they expect to feel better about themselves afterward. Going to a spa is regarded as a way of “pampering” oneself. Your resume objective must also show your passion for what you do and give the Spa owner an idea of why you chose a career as an Esthetician. Academic background or certification in Cosmetology or related courses. Experience in a variety of skin care services such as facials, extractions, body wraps, exfoliation services, body scrubs, and tanning. Experience in body hair removals such as body wax, laser removal and other processes based on body and hair type. Experience in rejuvenation techniques such as aromatherapy, chemical, foto and laser treatments. The skin is the body’s largest organ and as the Esthetician, the clinic’s patients have entrusted theirs to your capable hands. When a patient undergoes a successful exfoliation, facial cleansing or body wrap treatment, he or she feels rejuvenated. A productive massage session with the correct healing oils removes stress and improves body circulation. Skin care and spa treatments are more than just for vanity. These ensure overall health and wellness of the individual. People will book appointments in the skin clinic or spa to relax, unwind and feel better. As the Esthetician, you are not only providing expert service but also a great, unforgettable experience that should result in another booking. Estheticians are often overlooked in a skin clinic or a spa but their skills are keys in guaranteeing a great experience for the patient or client. People now more than ever are setting schedules aside to visit a skin clinic or a spa for treatments. Considering the turbulence the world has been through since the beginning of the new millennium, a skin facial, body wrap or aromatherapy session may be just what the doctor ordered. The best way to define a resume would be as your marketing kit. It is the document which is tasked to sell your skills, qualifications, and experience to a prospective employee. The question is: Will the prospective employer buy? In an industry that is highly differentiated such as Aesthetics, you would have to capitalize on your current knowledge and competencies in its various areas. Highlight your expertise and know-how in different types of skin care techniques and applications. Create a summary of the different body wrap methods you have experience in. Massage is highly sought after and in fact, has slowly entered the workforce as a special benefit for employees to relieve stress. What massage techniques do you know? How will these alleviate certain pre-conditions and persistent aches and pains? Part of feeling good is looking good. In addition to skincare treatments, women are always interested in the best brands or types of makeup to use. As a cosmetologist, you should have the experience and expertise to render advice to women. At the same time, the clinic or spa will expect you to push its own products as well. Cosmetics is a great source of revenue for these businesses. If you work in a private capacity as a Makeup Artist, include that in your resume. It gives the impression your services are in demand. If you have apprenticed with a well-renowned Makeup Artist, include that also in your resume even if you were not paid. The experience itself will be looked upon as the currency. If you have experience in other work that is not related to being an Esthetician, you can indicate it in your resume but do not explain or expound on it in great detail. It may only serve to distract the potential employer from focusing on your relevant experience. Our Esthetician resume sample will go a long way in helping you submit a resume that will gain the attention of the skin clinic or spa owner. Also take some time to study our sections on writing the objective, skills, and advice on composing your experience. Our advice will give you guidance on how to package your skills and experience to your advantage. Need to see more resume samples and templates to better understand how to write an Esthetician resume? Here are more other resume examples for different job positions that you can use as inspiration.